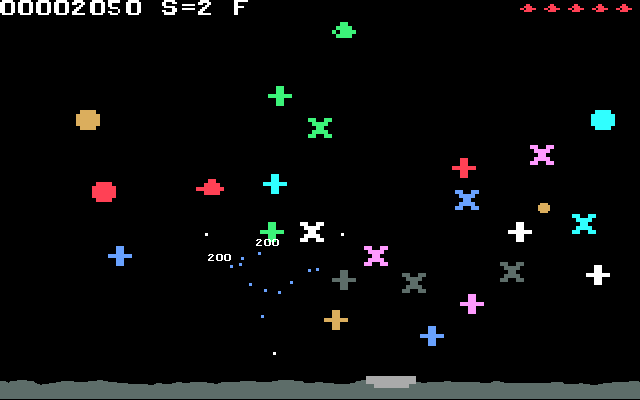 In this retro styled game you have to try to land your UFO on hostile ground! 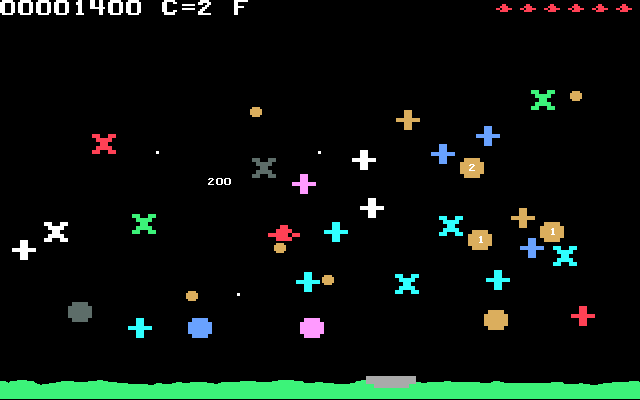 Your UFO has a force field which helps you to destroy objects, but you also have to dodge moving stars, falling rocks, and semi-friendly green UFOs. 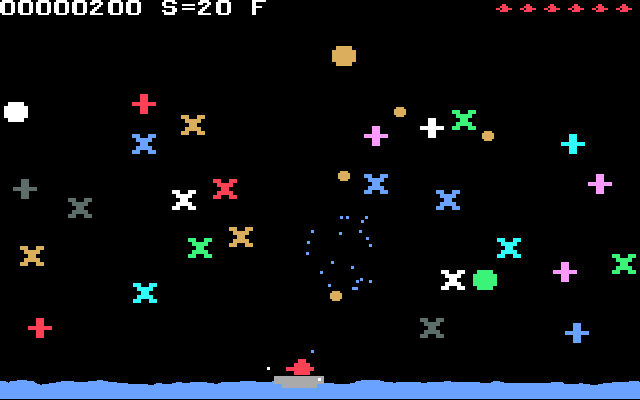 Sometimes hostile vessels appears which are out to destroy you, as they relentlessly fire missiles. Also, every once in a while there are challenge levels to boost your points and lives. As your force field destroys an object, its pieces can initiate a chain reaction of destruction. This way you can blast your way through some star packed regions, which might seem unsafe at first. 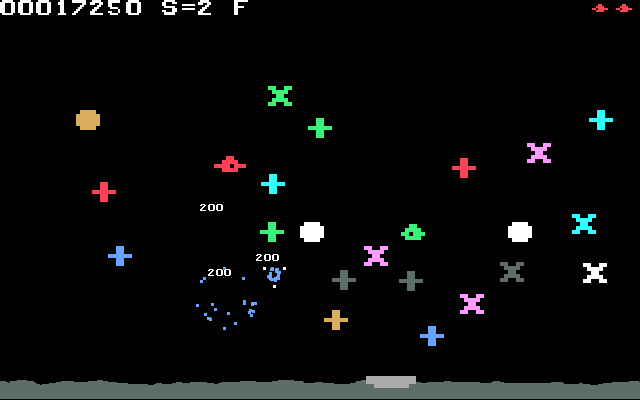 Combos of destruction will also give you great scores and extra lives. 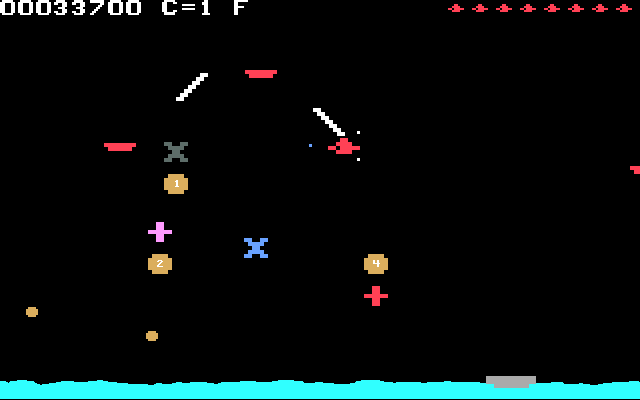 A strategic game combined with some brutal arcade action, where you need some fast reflexes! To get through a level, you must strategically plan your route to get through safely. 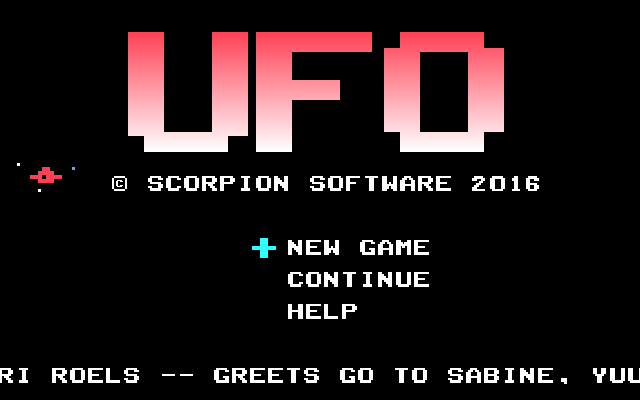 - Touch the screen on the left or the right side to move your UFO. You can also use most game-pads and keyboards. - Touch upper part of screen or use the back button or ESC button to pause game. 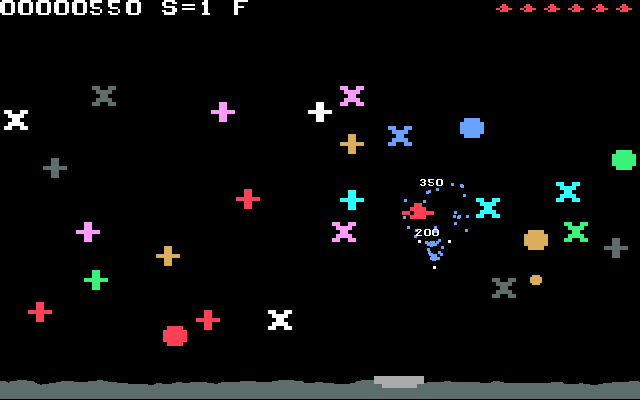 * Strategic and arcade retro action! * 100% free: No ads, no in-game purchases! * Initiate combos of destruction to rack up points! * You can choose fixed levels, and randomly generated levels. * 300 fixed levels. 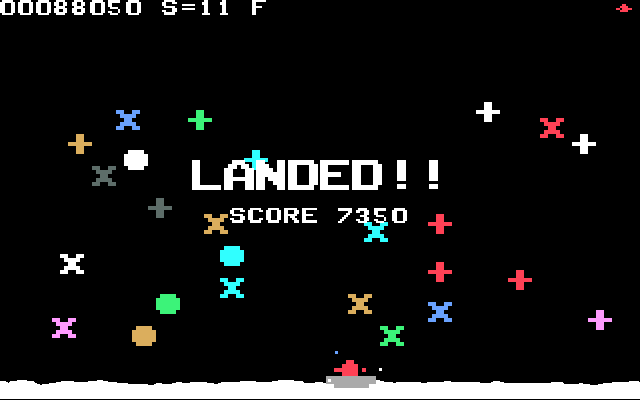 After that an unlimited number of randomly generated levels. * If you connect a real keyboard to the Shield, the d-pad of the shield controller wont be recognized anymore with some types of keyboards. Disconnect the keyboard if that happens, and play with your shield controller.